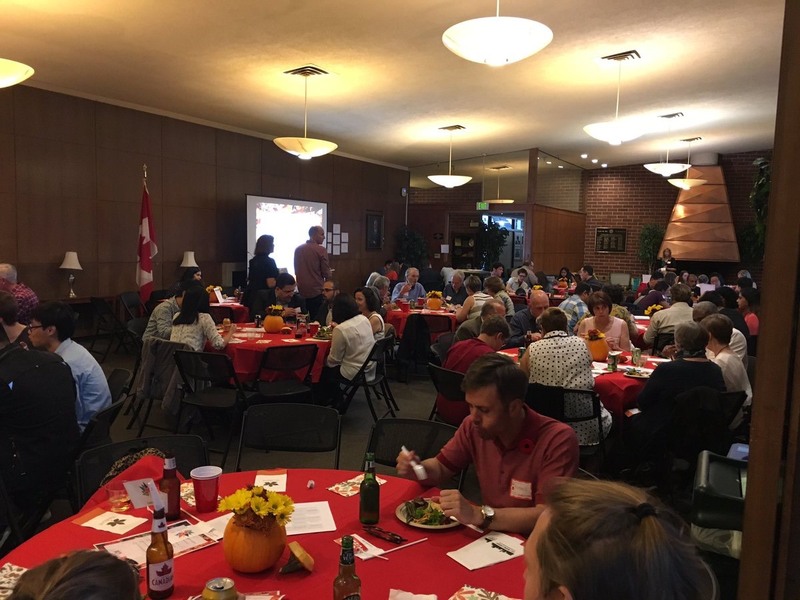 Earlier this evening, the Stanford Canadian Club hosted their annual Canadian Thanksgiving Potluck at Bechtel. 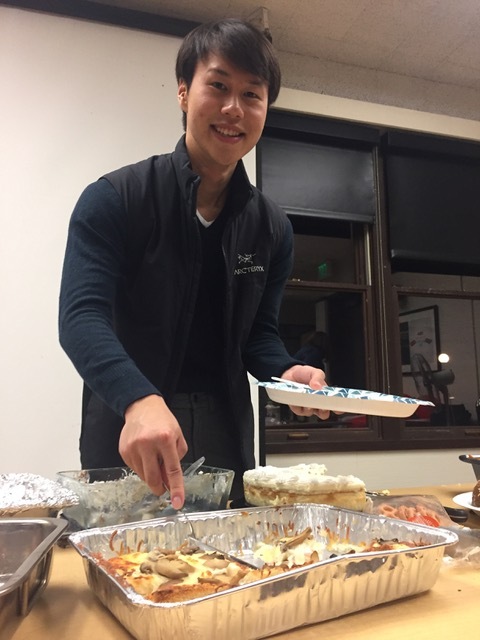 The potluck style event featured dishes, drinks, or snacks from their student members, as well as the traditional turkey, mashed potatoes, and pie. 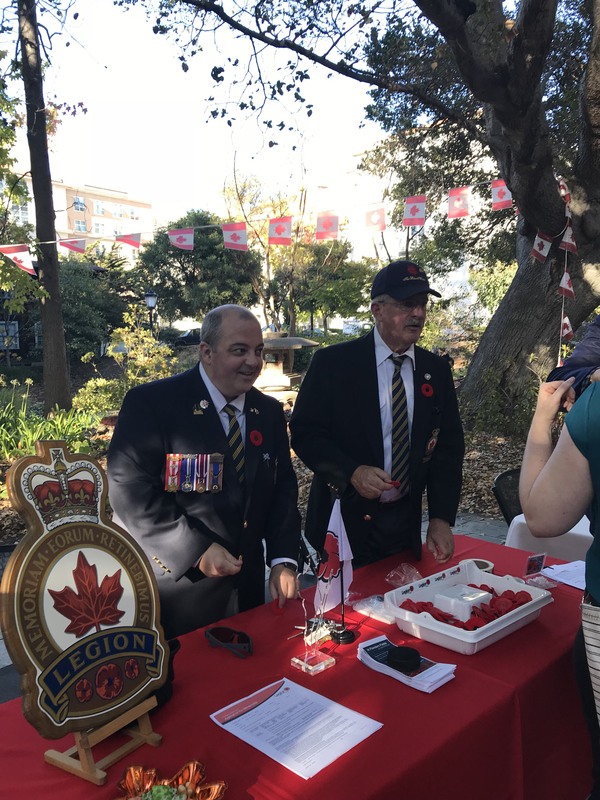 Like last year, the 2018 event also featured poppies in advance of the Remembrance season. 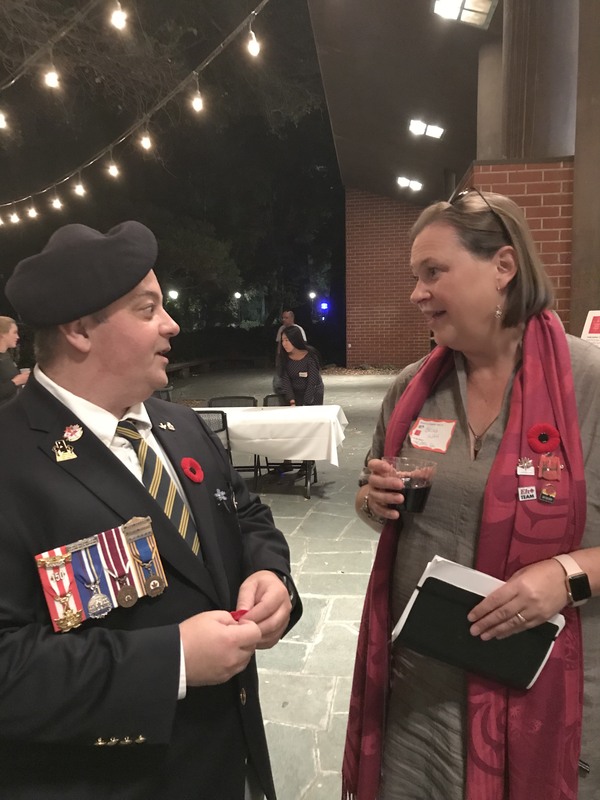 This entry was posted in Poppy Campaign, Stanford Canadian Club, Thanksgiving and tagged Poppy Campaign, Stanford Canadian Club, Thanksgiving on October 10, 2018 by Michael K. Barbour. 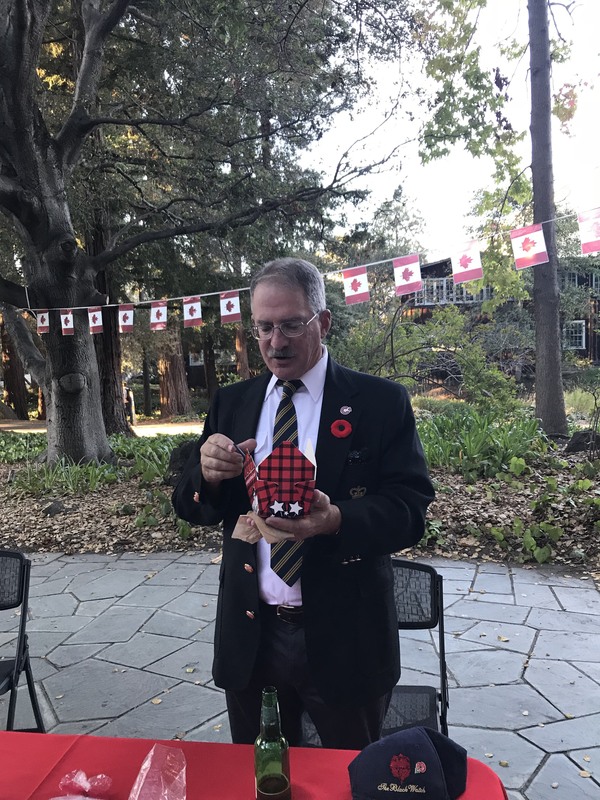 See this reminder from the Canadian Club at Stanford University. Just bumping this email for Canadian Thanksgiving dinner tomorrow night 7:30 @ Bechtel. 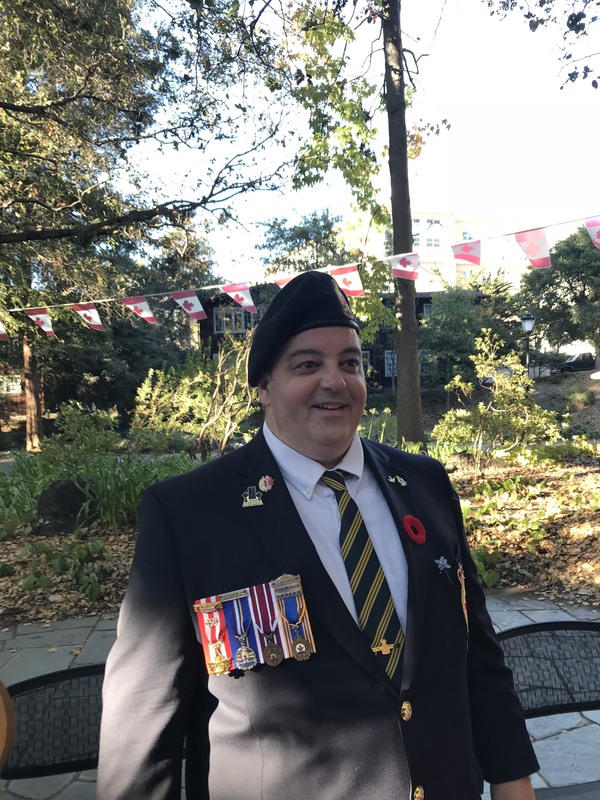 I’ll also have poppy pins for Remembrance Day from the Canadian Legion, so please bring a toonie tomorrow if you’d like one! 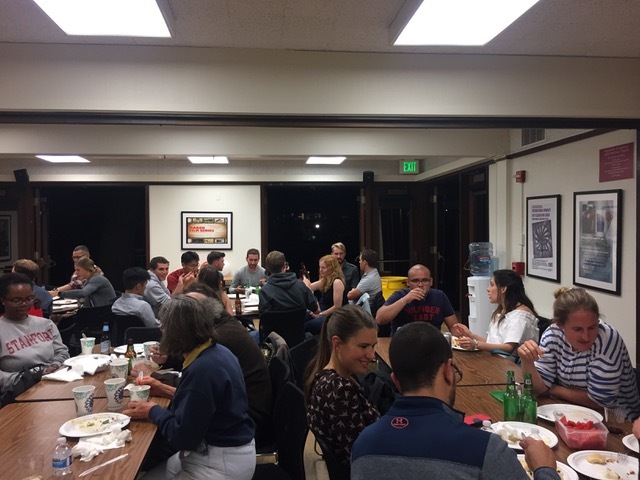 Welcome to the listserv for those of you who are new! I hope you all had a restful summer and are settling into the new academic year. 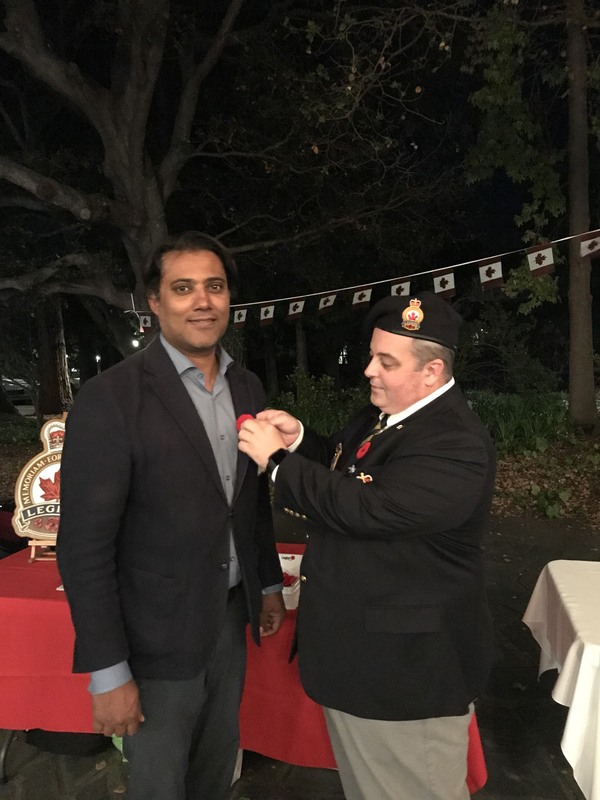 We’re excited for another fun year of events with the Stanford ~Canadian Club~. 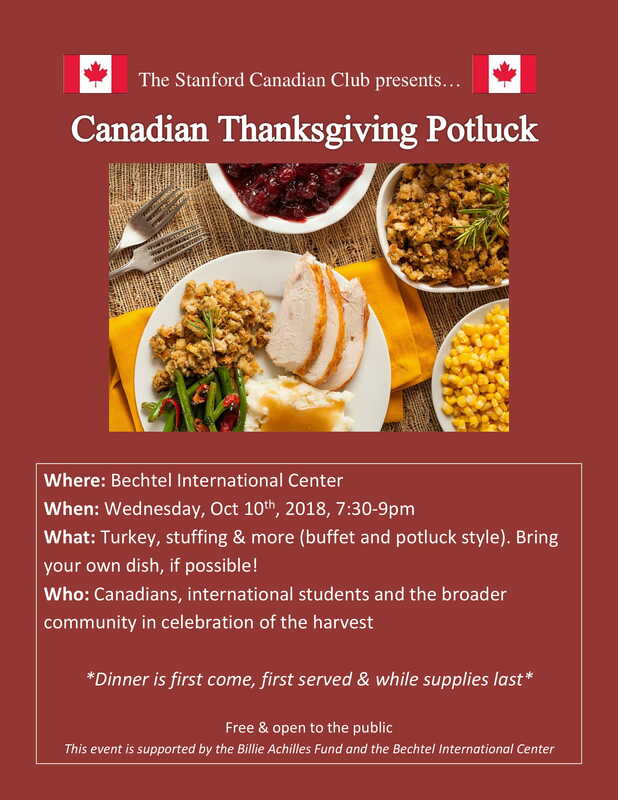 Next week will be hosting the annual Canadian Thanksgiving Potluck! This will be Wednesday, Oct. 10th from 7:30-9pm at Bechtel. As it is potluck style, we’d love for you to bring your own dish, drinks, or snacks. We will have a buffet with turkey, mashed potatoes, pie & more while supplies last. 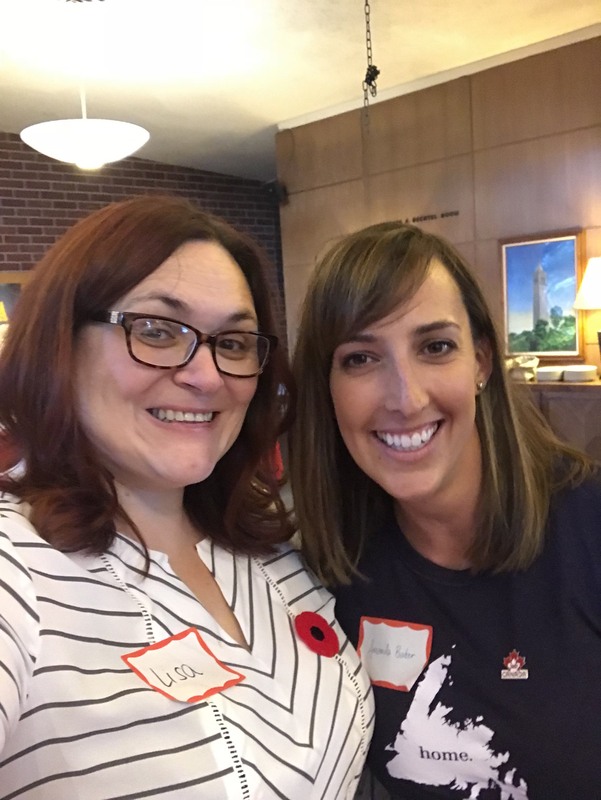 We’re excited to bring together communities in celebration of the harvest while also acknowledging the colonial roots of the holiday we celebrate today (see articles below for more info on the history of Canadian Thanksgiving). Feel free to bring your friends along and I look forward to seeing you all! 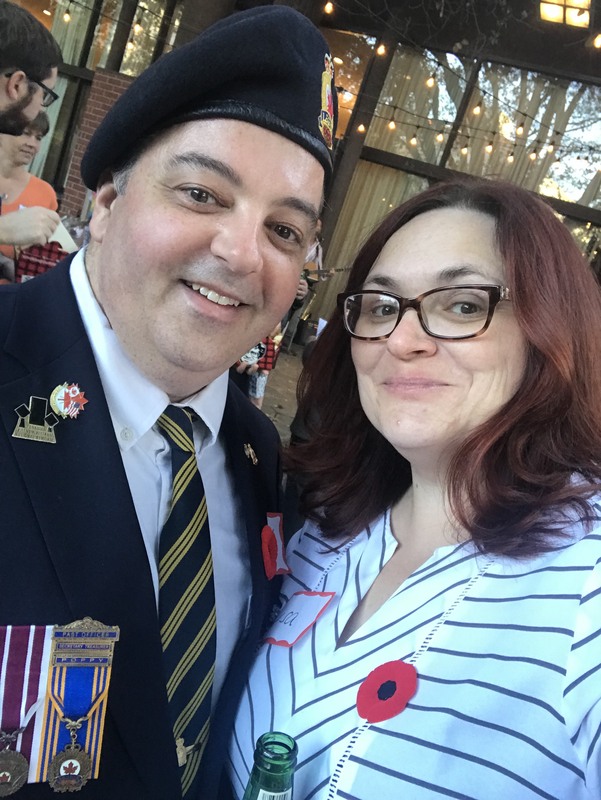 This entry was posted in Stanford Canadian Club, Thanksgiving and tagged Stanford Canadian Club, Thanksgiving on October 9, 2018 by Michael K. Barbour. 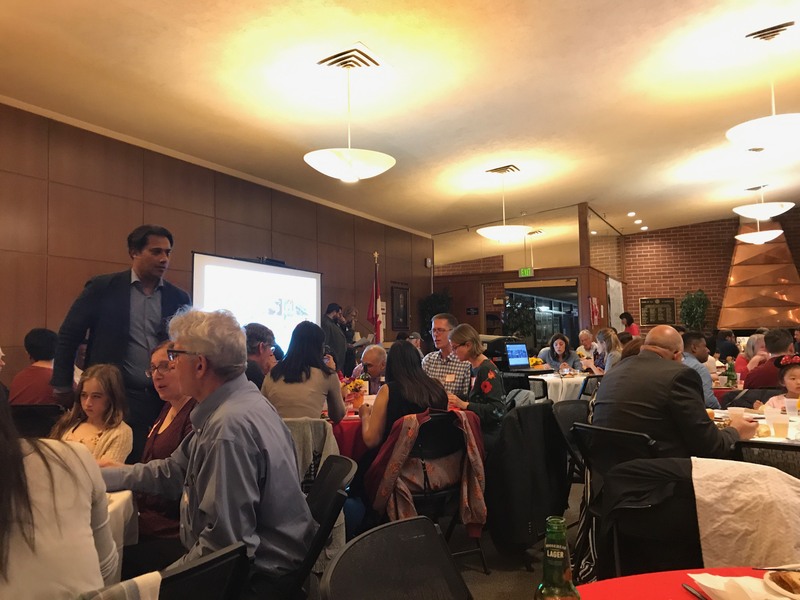 Here are some images that the Stanford Canadian Club shared with us from their Thanksgiving dinner earlier this evening. 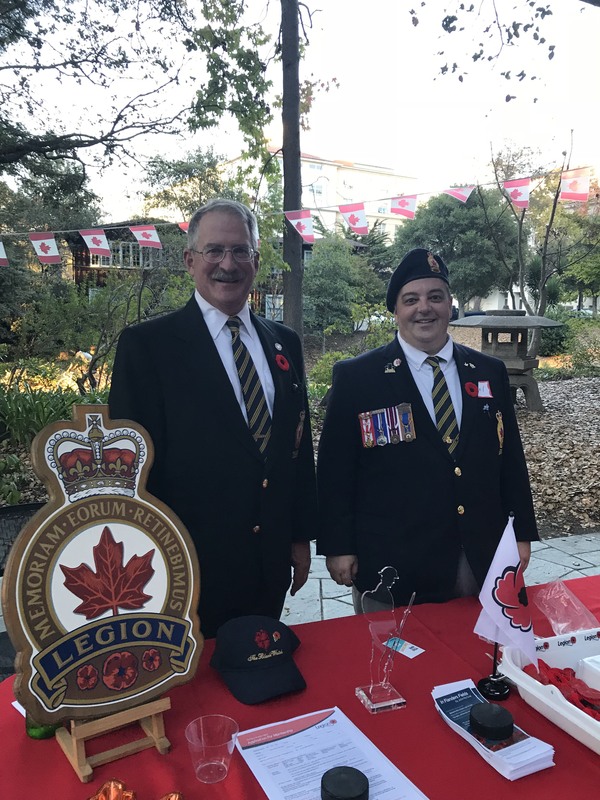 This was the second event that distributed poppies at during our 2017 Poppy Campaign. 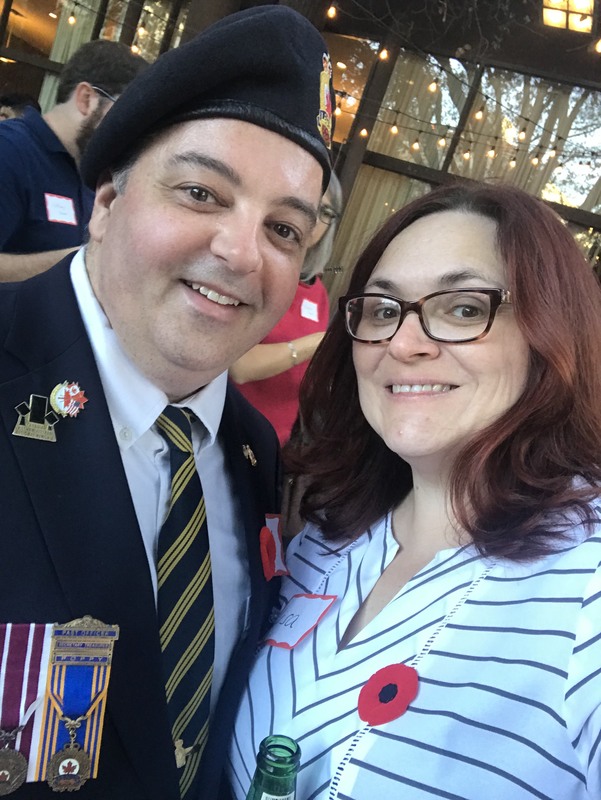 This entry was posted in Poppy Campaign, Stanford Canadian Club, Thanksgiving and tagged Poppy Campaign, Stanford Canadian Club, Thanksgiving on October 16, 2017 by Michael K. Barbour. 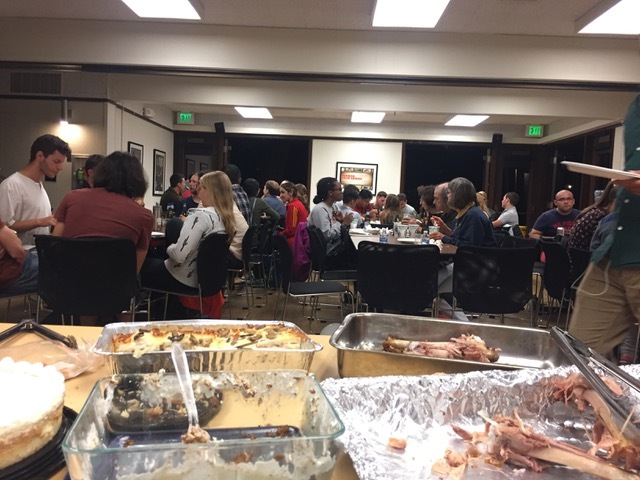 Here are some images that the Digital Moose Lounge and the Canadian Studies Program at Berkeley shared with us from their Thanksgiving dinner earlier this evening. 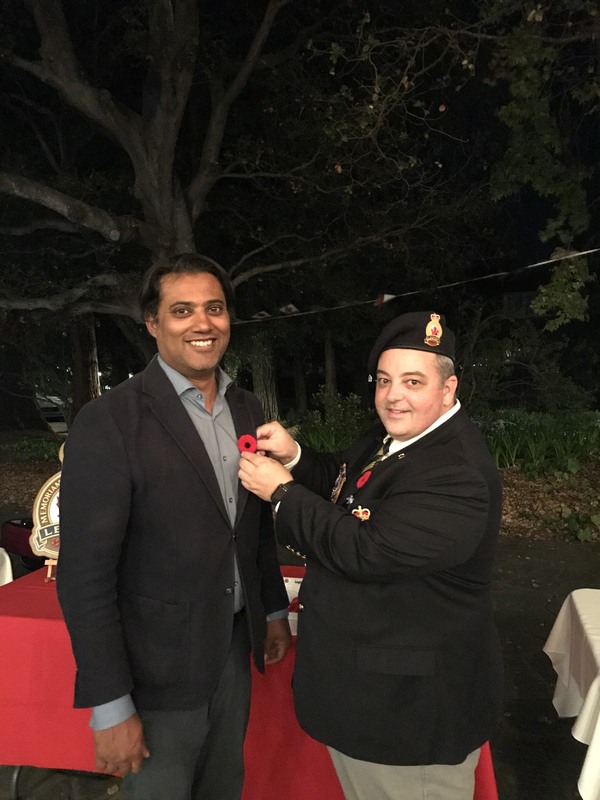 This was the first event that distributed poppies at during our 2017 Poppy Campaign. 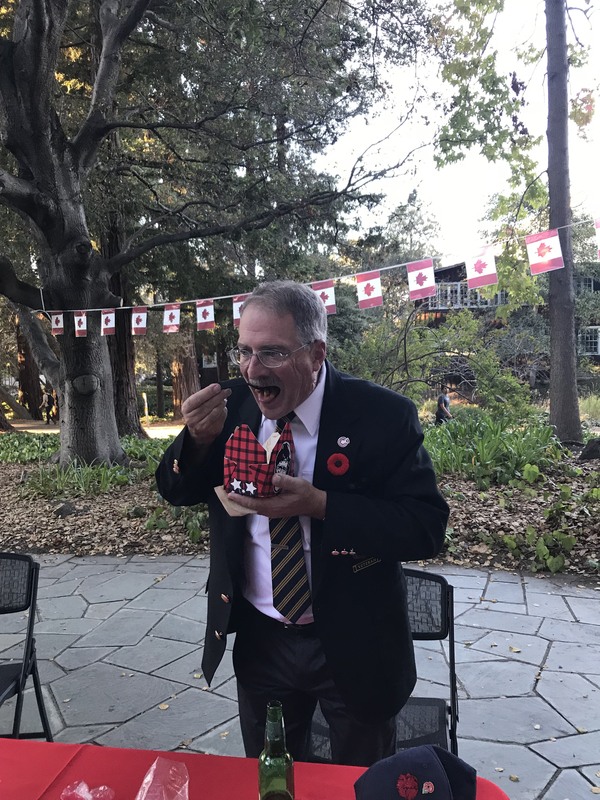 This entry was posted in Canadian Studies Program UC Berkeley, Digital Moose Lounge, Poppy Campaign, Thanksgiving and tagged Canadian Studies Program UC Berkeley, Digital Moose Lounge, Poppy Campaign, Thanksgiving on October 7, 2017 by Michael K. Barbour. 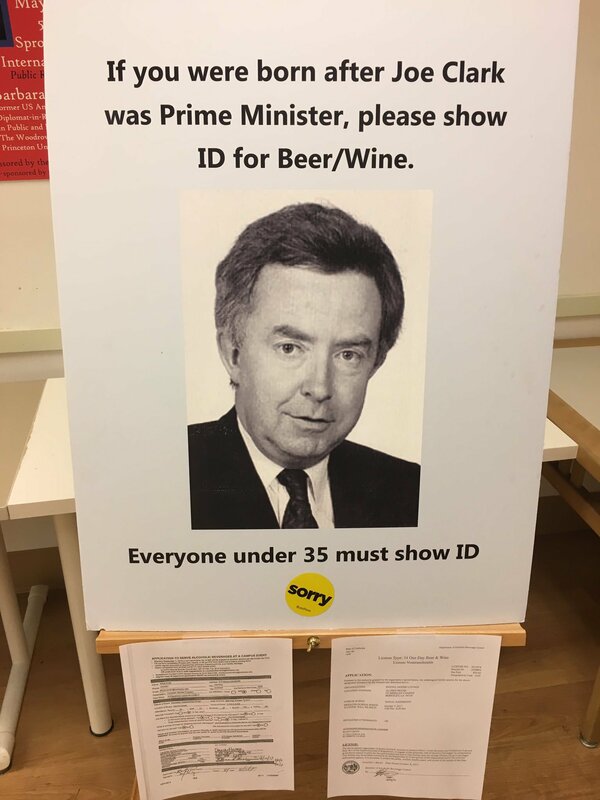 From another one of our fellow Canadian organizations in the Bay area. 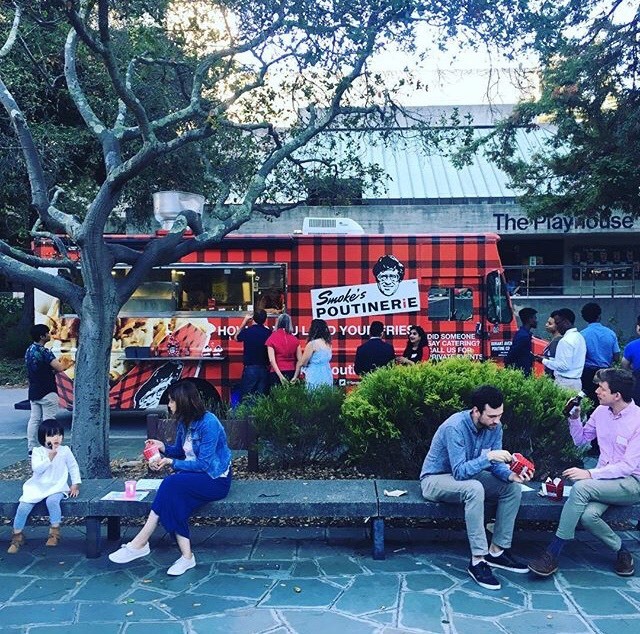 Celebrate Canadian Thanksgiving with the Digital Moose Lounge and the Bay Area’s Canadian community! Tickets now available via Eventbrite. 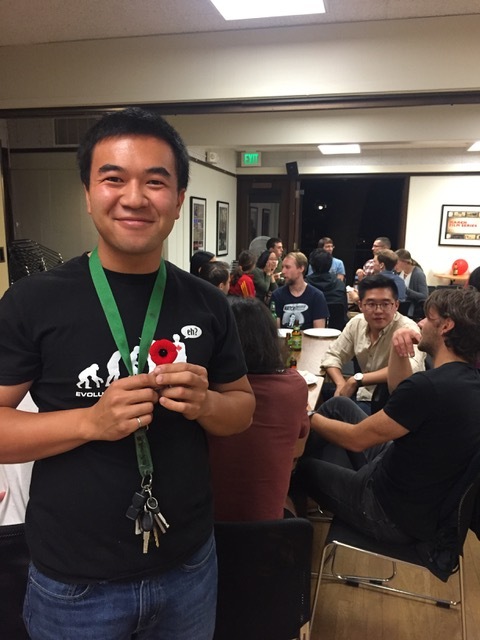 Join the Digital Moose Lounge and UC Berkeley Canadian Studies in a celebration of Canadian Thanksgiving. Nothing says fall like a good Thanksgiving dinner. 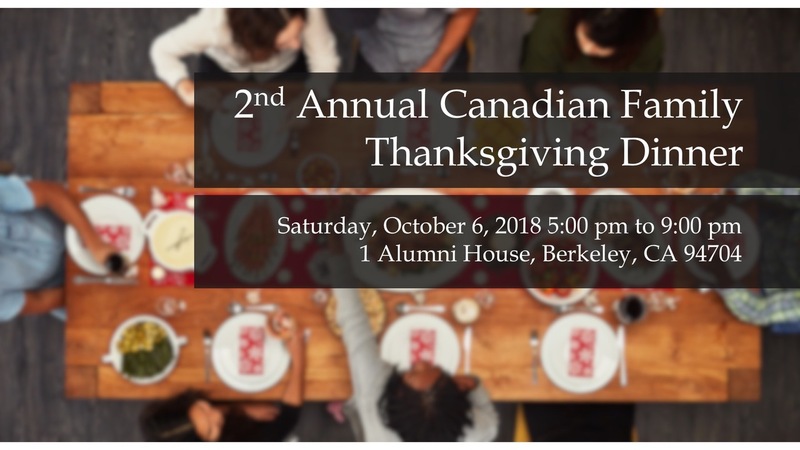 This year, give thanks for a wonderful community of Canadians by celebrating with us at Alumni House on the UC Berkeley campus. Enjoy turkey, potatoes, cranberry sauce and all your favourite side dishes, a host bar of Canadian beverages (alcoholic and non) and desserts to satisfy your sweet tooth. 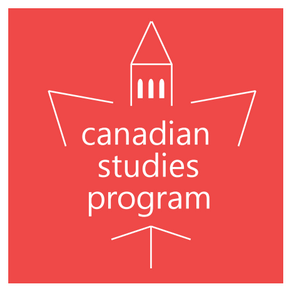 Reduced-Priced tickets are available to affiliates of Canadian Studies at the rate of $10 USD for students and staff, $32 for faculty and affiliates. 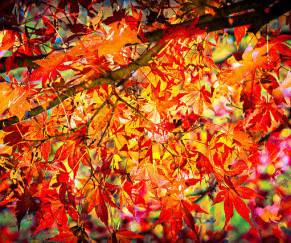 Reduced-Priced tickets must be purchased with cash or check by emailing Elliott.Smith@Berkeley.edu – Subject Line – THANKSGIVING. ICCS is offering graduate student scholarships of up to CDN $4,000 to graduate students at the thesis or dissertation stage. 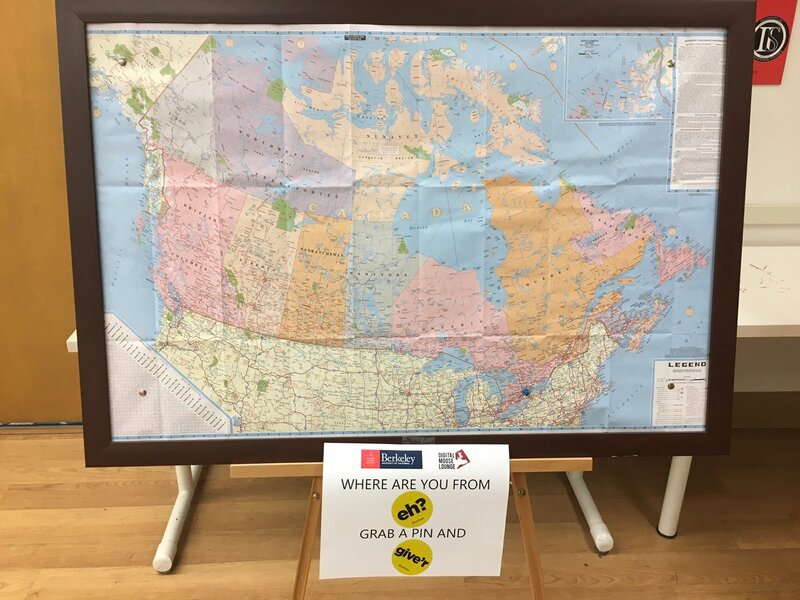 Objective: To facilitate the renewal of the community of Canadianists by supporting the work of young scholars, by enabling successful candidates to spend 4-6 weeks at a Canadian university or research site other than their own doing research related to their thesis or dissertation in the field of Canadian Studies. The Council on Foreign Relations (CFR) has launched the second year of its International Affairs Fellowship in Canada. 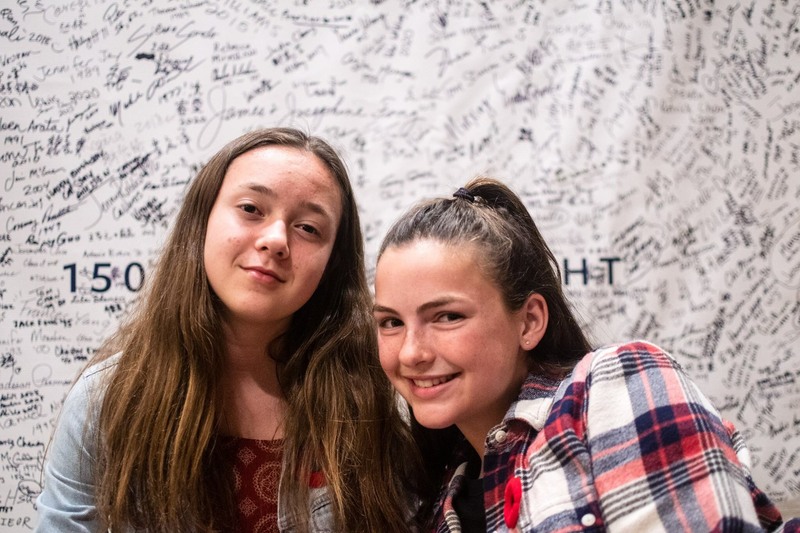 The Fellowship seeks to strengthen mutual understanding and cooperation between rising generations of leaders and thinkers in the United States and Canada. 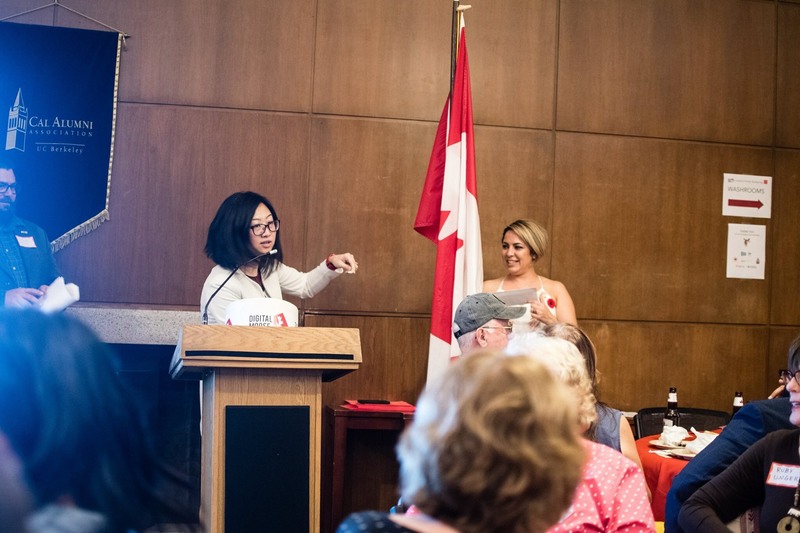 The program will provide for one to two mid-career U.S. citizens per year to spend six to twelve months hosted by a Canadian institution to deepen their knowledge of Canada. 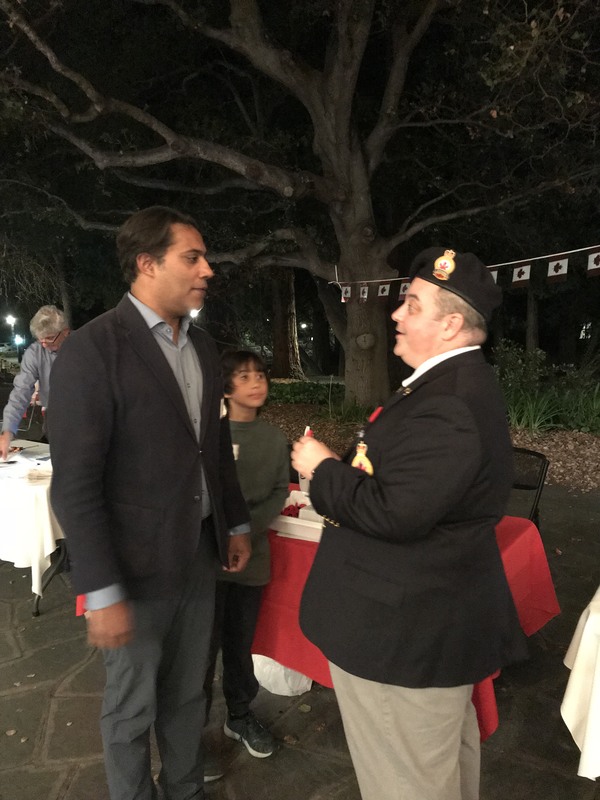 This is a great opportunity to grow the pool of Canada-US experts in the US; help foster new Canada-US networks; leverage new influencers; and engage emergent players in areas of strategic interest to the Canada-US relationship. Fellows can be drawn from a broad source of fields, including business, academia, government, media, NGOs, and think tanks. Interested candidates can apply online until October 31 2017. President Trump’s election has drawn increased attention to the U.S.-Mexico border, but it has also resulted in changes on the northern U.S. border. In response to the need to theorize this relationship and its historical and evolving dimensions, IFUSS announces a new project: The ‘Other’ Border. arts and social sciences are welcome. 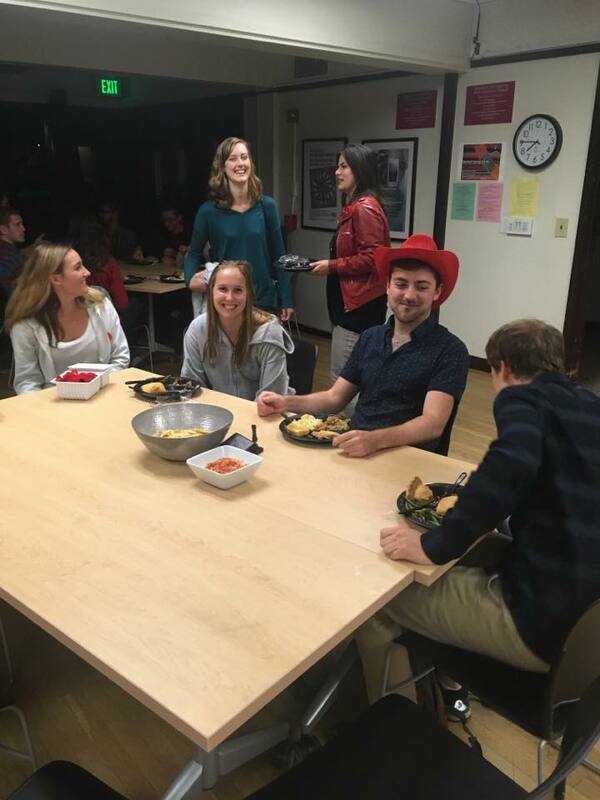 This entry was posted in Canadian Studies Program UC Berkeley, Thanksgiving and tagged Canadian Studies Program UC Berkeley, Thanksgiving on September 20, 2017 by Michael K. Barbour.